After a few months of launching my last blog I was really pleased with the traffic to my site and the revenue I was generating. I had managed to grow the blog to nearly 3,000 daily visitors and I couldn’t be happier. Things were going great, when all of sudden I was getting emails from visitors telling me my site was running very slow. On top of that, people kept trying to hack my site. Soon I was spending more time fixing technical issues and worried about how secure my WordPress site is; than growing my blog. The main reason I was experiencing all these issues was due to my hosting choice. As I began to explore my options WordPress managed hosting came up time and time again. In an effort to make sense of all the hosting options available this post came to life. Below you’ll learn what WordPress managed hosting actually is, its pros and cons, when you should make the switch, and some WordPress managed hosting options you may want to consider. #4 FlyWheel – Expensive, but you get what you pay for. 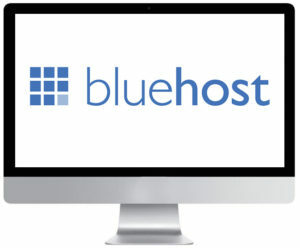 #5 Bluehost – Affordable alternative to services mentioned above. Because of the overwhelming popularity of the WordPress platform, many web hosts have decided to specialize in services and products that are created specifically for the platform. In a managed WordPress hosting situation, you won’t be responsible for any of the technical aspects related to running your website. This includes updating your website to the latest version of WordPress, backing up data on a regular basis, dealing with your site’s uptime, security, and speed and scalability of your site. The major advantage of having a good WordPress host is that you will be able to focus solely on growing your blog rather than having to worry about any technical issues that might trip you up. The best managed WordPress hosts have premium support from people who have dedicated their time to learning WordPress. Any problems that you have with your website can be directed to them for a timely fix. The WordPress managed hosting arena has exploded since it’s early years. Instead of strictly managed hosts, you’ll find a wide variety of hosting options that cater to complete beginners, all the way up to enterprise solutions for site’s that receive multiple millions of website visitors per month. This style of host provides a truly managed WordPress solution and takes care of virtually all technical aspects related to your site. These hosts are generally more expensive and geared towards middle to high traffic sites. This style of WordPress managed host is typically from larger beginner hosts who recently added a WordPress oriented hosting solution. These aren’t equipped with the same level of features as the type of host mentioned above, but they can be a great solution for beginners. Overall, using a WordPress managed host will help you get that much more out of your WordPress site. If you want to improve the performance of your WordPress site while freeing up your time from time-consuming technical tasks, then a WordPress managed host might be right for you. With so many WordPress managed hosts to choose from you’ll want to spend time examining the pros and cons, as well as unique features of each host. Below you’ll find the pros and cons of using a WordPress managed hosting environment, so you can decide if it’s right for you. WordPress managed hosting comes with some serious advantages for WordPress site owners. Below you’ll find some of the biggest reasons people end up upgrading their hosting environment to managed WordPress hosting. One of the definite advantages of having a managed WordPress host on your side is that the server environment is specifically geared towards WordPress websites. You will never have to worry about overloading your web cache or bandwidth – the performance of your website will nearly always be blazing fast. Plus, most WordPress managed hosts also come equipped with their own, or add-on CDNs, which will further improve your site’s speed. Perhaps the most important aspect of dealing with a good WordPress managed host is the safety and stability that you gain. With the right managed host behind you, your site will be virtually impenetrable. Managed WordPress hosting experts will consistently scan for malware and block all hacking attempts before they ever come to your attention. Some hosts also offer free site cleanup if your site does become hacked or compromised. It’s a nice feeling knowing that all of your proprietary intellectual property is safe on your website and in your web control panel. You also receive expert support that is not always available with other types of web hosting. You will have a dedicated team who understands exactly the type of website that you have, WordPress. As such, they will be able to recommend updates that will continue to enhance your site. They’ll also be able to solve any problems that you have with the site much faster than an ordinary WordPress hosting service. You’ll also have the advantage of daily website backups, so you can always ensure you have a copy of your site and associated data backed up and secure. If you ever need to restore your website to a previous iteration, you will be able to do so with ease. With a managed WordPress host, there is virtually no downtime to speak of. Your customers will always be able to expect full performance out of your website. This is usually true even if you receive large influxes of web traffic at once. This is a necessity for websites that receive a high volume of traffic and associated income every day. Lastly, you will receive some of the most useful developer tools of any web hosting service in the world. You will have version control, staging area tools, and other beneficial WordPress developer tools that’ll be hard to find elsewhere. Using a WordPress managed host isn’t going to be right for everyone. Some of the reasons below might be enough for you to seek out a different hosting solution. Managed WordPress hosting is one of the more expensive types of web hosting available on the market today. If you are running a small website, the monthly cost of a managed hosting service may not pay for itself. If you ever want to run a website that is not based on a WordPress platform, you will likely have more trouble if you are using a managed WordPress hosting solution. As stated before, the server architecture is specialized for the WordPress platform. If you utilize another CMS like Drupal or Joomla, then there’s no reason to use a WordPress managed host. There will be certain limitations on plugins that you will be able to run as well, depending on the managed host you end up choosing. If you hand over control to a managed WordPress host, they will automatically block any and all plugins that slow down the performance of your website. Before you choose a managed WordPress host make sure they allow use of the plugins that are absolutely required for your site to function. Usually, your host will block plugins for a specific reason, or have their own hosting features that make up for the functionality of that plugin. Lastly, there is a certain contingent of bloggers who simply do not like to give up control over any aspect of their site. Because someone else will be managing the technical aspects of your website, there will be certain changes made that you won’t have complete control over. A managed WordPress host is best suited for users who don’t want to have to deal with the technical aspects of managing their sites. Weighing up the pros and cons, most people will eventually move to managed WordPress hosting when their existing hosting environment simply isn’t meeting their needs any longer. The slight loss of control is worth it, if you can then spend that time growing your site and engaging with your visitors. Also, if you’ve been experiencing security and up-time issues that are beyond your level of expertise, then upgrading your site will give you the performance, security, and peace of mind you’ve been looking for. There is nothing worse than trying to retain control of a website and losing data and customers because your existing hosting provider was unable to keep the website going in the wake of traffic spikes and hackers. If you’ve been experiencing any of the above issues with your current hosting provider, then upgrading to a WordPress managed host is something you’ll definitely want to consider. Now it’s time to talk business and get into what WordPress managed hosts you should consider. Below you’ll find 12 different WordPress managed hosts that you’ll want to evaluate throughout your hosting search. 1. WPEngine – The Best…But It’s NOT Cheap! 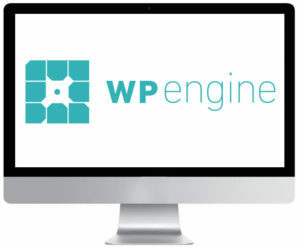 WPEngine has made its name as a managed WordPress host for everyone. Instead of just catering to higher-level clientele WPEngine has a wide range of different hosting packages that suit beginner WordPress installations, all the way up to sites that get multiple millions of visitors per month. WPEngine places a focus on being a high-performance host, super fast load times, along with having high levels of security and a solid support team. Some of the largest brands in the world including, SoundCloud and HTC utilize WPEngine to power their sites. If you need to store a lot of media, then you can take advantage of the unique LargeFS feature, which integrates your hosting with the near infinite storage space of Amazon S3—all you need is an Amazon S3 storage account. WPEngine is an extremely popular managed WordPress host, however, there are some drawbacks you’ll want to be aware of. For example, they don’t offer email hosting for those who prefer to manage their sites and mail accounts in the same place. Also, because it is a managed hosting environment there are some popular plugins, like W3 Total Cache and WP DB Backup, which you won’t be able to use. Overall, WPEngine is a high-performance host that can be a powerful ally for sites that receive a high volume of traffic and demand the most from their hosting environment. You might also want to read our WPEngine VS Synthesis article. Cloudways is a managed cloud host that allows you to deploy WordPress through the cloud deployment of your choice. With Cloudways you can choose either Digital Ocean, Linode, or Amazon AWS to deploy your site. It’s not solely a WordPress host, as they offer other CMS and site options, but once you deploy WordPress your hosting will be managed. Best of all there are no restrictions on your WordPress site, which a lot of other hosts employ. Typically, cloud hosting platforms can be difficult to manage, but with the Cloudways managed solution it’s literally as easy as pushing a few buttons. Beyond the features highlighted above, you’ll find standard features like real-time security monitoring, team collaboration and permission features, Git integration, and a unique Cloudways AI bot that’s there to assist you. Cloudways offers an incredibly accessible and flexible solution that doesn’t lock you into any long-term contracts. For those who want a robust feature set on a budget, they’re definitely worth checking out. Kinsta is a smaller company than some of the others highlighted on this list, however, they offer an incredibly high-performance hosting solution that only offers managed WordPress hosting. I have a couple of sites with Kinsta of which both have super fast load times of between 500ms and 600ms. Their hosting packages are geared toward the higher-end of the market, but their impressive array of features easily makes the cost worthwhile. For example, right out of the box your site will be equipped to handle an unlimited amount of website traffic and page views, your hosting will automatically scale as your site grows, plus your site will be supported by a state-of-the-art security network. Ability to choose between 15 different datacenters to place your server in the closest proximity to your site visitors. Another standout feature is the UI of the hosting dashboard. It’s obvious that the site management dashboard was designed to cater to beginners, while still packing advanced features and tools. Within the management dashboard, you can do things like add a new site, deploy a staging server, clone an existing site, migrate your site, and even view your site analytics. For those used to other control panels like cPanel or Plesk, you’ll feel right at home, as you’ll have access to features like site redirects, SFTP access, website backups, phpMyAdmin access, and more. Flywheel is unique in the managed WordPress hosting space in that it’s built with designers, developers, and agencies in mind. It goes beyond being purely a WordPress host and instead utilizes specific processes to improve the workflow of web designers and creative agencies. Typically, when you’re running or managing multiple WordPress installations you’ll be knee-deep in repetitive tasks, but Flywheel has worked hard to streamline these tasks and allow for simpler site creation and management. Beyond the features that specifically cater to the developer and agency market Flywheel is also equipped with the features you’d expect like, regular nightly backups, 24/7 security monitoring, worldwide datacenter locations, and the ability to easily scale your hosting package. Unlike most managed WordPress hosts Flywheel offers you the ability to install any plugin you’d like, which can be invaluable for building out client sites that require a specific plugin configuration. 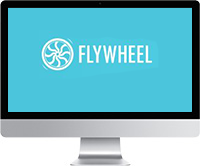 If you’re looking for a way to simplify your business and take the stress out of building, managing, deploying, and billing for multiple sites, then consider giving Flywheel a spin. Bluehost offers an affordable alternative to the other managed WordPress hosts, while still offering high performance and solid security. It’s great for those who are looking to get started with WordPress managed hosting but don’t quite need the robust features (and price tag) offered by other hosts. There are a variety of Bluehost Managed WordPress plans that can cater to a variety of site owners. The most basic plan can handle up to 100 million monthly website visitors, with the highest plan supporting an unlimited number of visitors. The plan storage, backup space, and RAM also scale up depending on the package you choose. If you’re already a Bluehost user and you’re looking to upgrade to a managed WordPress host, then upgrading your account will be seamless. While if you’re looking for an affordable WordPress host that’ll still give you the features you need, then Bluehost is a worthwhile option. WordPress VIP is a fully managed WordPress cloud hosting platform that’s designed to support large-scale businesses. The pricing structure will probably be prohibitive to most small to medium-sized business owners, but large organizations that rely upon their website for a significant portion of their revenue may find this hosting platform invaluable. On top of that, you’ll have access to the WordPress VIP delivery network that allows for optimization and monitoring of your entire site’s path. This offers you benefits like reduced latency, improved DDoS defense, greater site speeds, and better SSL certificate control. Overall, WordPress VIP is built for large organizations that want industry-leading performance, without having to think about hosting and their site’s growth. 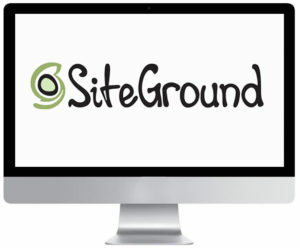 If you’re looking for cheap managed WordPress hosting plans, then SiteGround is going to be a solid choice. Their plans are a great fit for non-technical users who want the power of a WordPress host behind them as well as developers who demand features like site staging areas and Git integration. WordPress site monitoring for WordPress vulnerability patching and custom WAF rules when needed. Beyond the technical hosting features that are important in a managed WordPress host SiteGround also has a stellar team of WordPress experts behind you every step of the way. This support team is available 24/7 to help walk you through any issues that might arise. There are three different managed WordPress hosting plans you can choose from, depending on your needs. The most basic plan will work for site owners who don’t receive much traffic and simply don’t want the hassle of managing their own WordPress hosting and keeping their site up to date. However, anyone who needs more advanced features from their host will want to upgrade to one of the higher level plans. Luckily, even the more expensive plan options are incredibly cheap when compared to other managed WordPress hosting providers. Liquid Web is known for its premium hosting plans, and it’s managed WordPress hosting plan is no different. With this hosting plan you’ll definitely pay a premium, but the features you’ll have access to might be worth the price tag. Right out of the gate your site will have zero limits on the amount of traffic and pageviews. Plus, you get full server access, which a lot of managed WordPress hosts don’t offer. Finally, your site will be incredibly secure as your site will be hosted on the Liquid Web datacenters, not outsourced to a third party provider. You’ll also get access to a 24/7 expert support team that you can reach via email, chat, or even phone. Liquid Web’s managed WordPress solution is for high traffic site owners who demand performance and want a team behind them every step of the way. Dreamhost is another cheap managed WordPress solution. 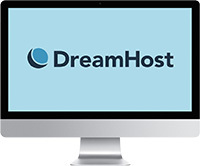 Dreamhost has extensive experience hosting a wide rage of websites, from complete beginner’s build out their first sites to experienced webmasters. Dreamhost’s managed WordPress hosting makes WordPress hosting accessible to a wide variety of website owners. They currently offer three different packages that cater to WordPress users getting their first sites online, to power users who are running multiple high traffic web properties. Unlimited automated website backups – free SSDs which makes your site 200% faster. If you’re already a Dreamhost customer and are looking to upgrade your hosting, then their managed WordPress solution is a solid choice. Plus, with its ability to scale with your site you won’t have to migrate hosts anytime in the near future. Pressable is a rock-solid WordPress managed host that shines in its commitment to customer satisfaction. It caters to the middle end of the WordPress market and offers a few different plans that make Pressable accessible to a wide range of WordPress users, from single site owners all the way up to sites that get millions of monthly pageviews. To break it down further Pressable caters to three different groups: agencies and developers, WooCommerce store owners, and enterprise site owners. There are segments off of these three, like the beginner group highlighted above, but those that fall into the above groups will find everything they want in a managed WordPress hosting environment. Pressable truly shines in its commitment to customer support. All staff members are classified as WordPress experts, which means you’ll be able to get the help you need when you need it. Regardless of whether you’re having a plugin conflict, issue with a theme, or have a more difficult problem, you’ll have a team of experts behind you walking you through the issue. If you want a high-performing WordPress host along with a knowledgeable support team to have your back, then consider trying out Pressable. Pagely is a one of the longest running WordPress managed hosts. They cater to the high-end of the WordPress market with premium priced hosting packages. They’ve worked to handle the hosting for some of the largest companies out there including Disney, Visa, PetSmart, eBay, Virgin Atlantic, and more. It’s known for providing blazing fast loading speeds, with a very high level of site security, no matter how large your site or how much traffic you receive. They utilize Amazon AWS for the backend servers which allows for blazing fast speeds and other advanced features like GIT integration, built-in staging environments, WP-CLI integration, and a ton more. If redundancy and scalability are a big factor in choosing a host, then Pagely is definitely worth considering. Plus, with their custom-crafted security features your site will always be protected, no matter how large, or how much traffic you receive. Hopefully this post gives you a better picture of the WordPress managed hosting landscape, so you can decide if it’s the right fit for your WordPress site. Any of the hosting options highlighted above will be a great choice for your site, it just depends upon your unique needs and what you require from a host. Thank you very much for sharing this amazing list of the top managed WordPress hosting service providers in the world, I think the WPEngine is the best managed WP hosting service on the Internet so far! Well thanks for sharing your article with us!